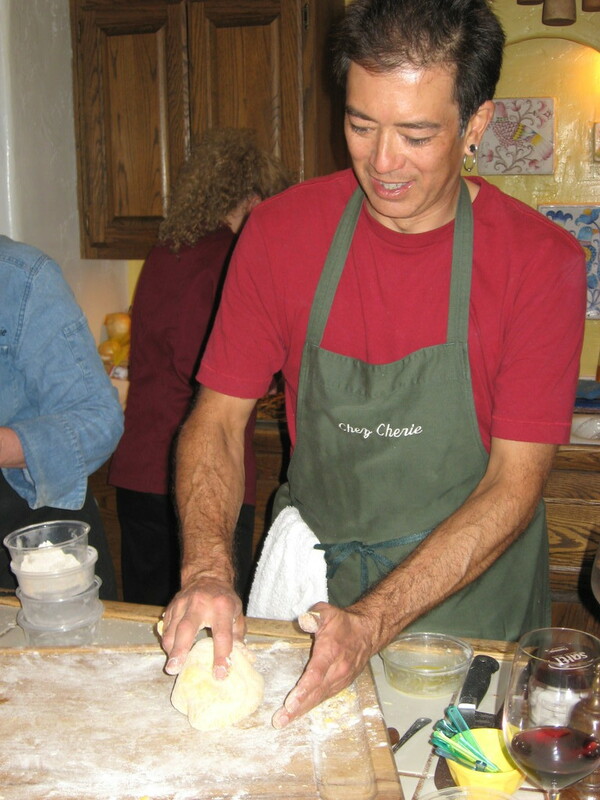 I did another cooking class this evening at Chez Cherie in La Cañada. 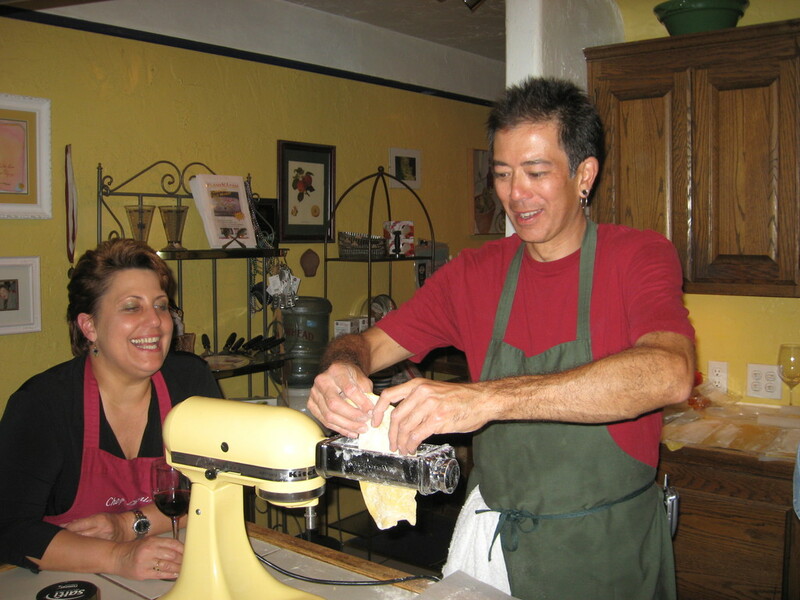 This one was the hands-on pasta class. I did the hands-on souffle class last February, and it was fun. So I thought it would be interesting to learn to make pasta. At the beginning, Cherie demonstrated making it by hand and also with a food processor. Then she asked if anyone in the class wanted to learn the hand method. I raised my hand, along with one other person. So we went up to the front table and made our pasta by hand. That was an interesting exercise. Not all that different from making bread. 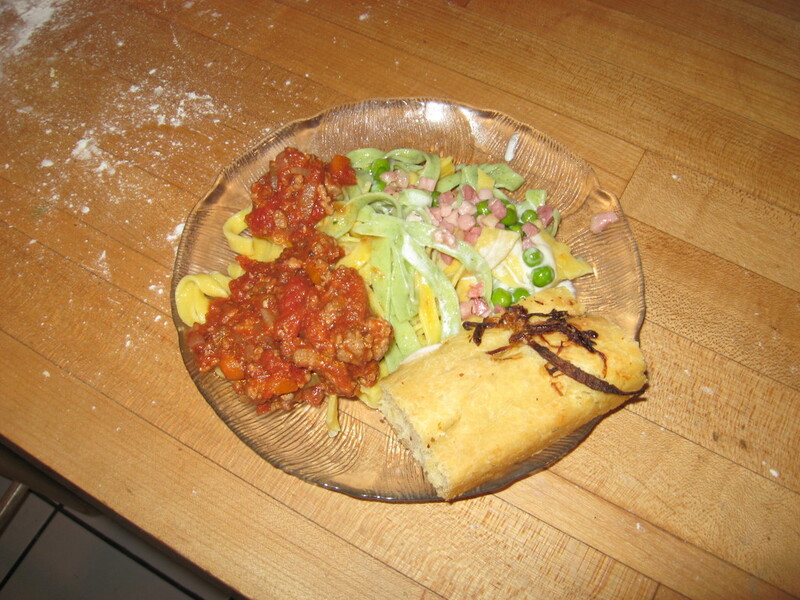 After the dough was made, we had to let it rest a bit, so they fed us some fresh pasta with different sauces. 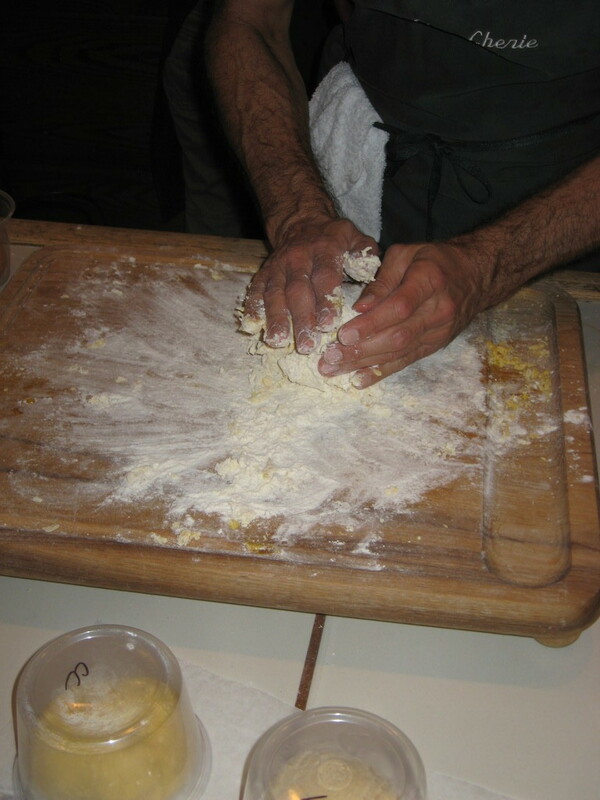 Then we got to roll the dough out and cut it. 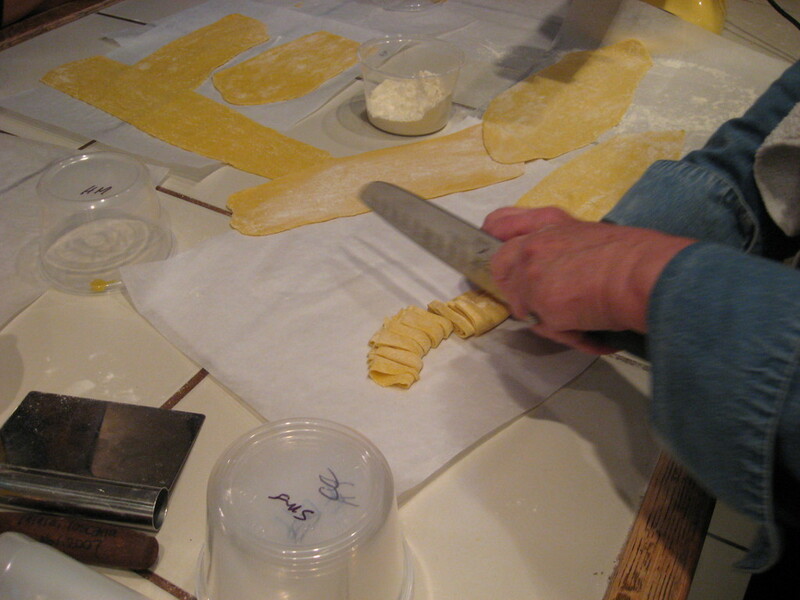 At the end, we each had a bag of our fresh pasta to take home and cook. It was a fun evening.